In April 2003, 21-year old Tom Hurndall was shot in the head in Gaza by an Israeli soldier as he tried to save the lives of three small children. Nine months later, he died, having never recovered consciousness. Emine Saner talks to his mother Jocelyn about her grief, her fight to make the Israeli army accountable for his death and the book she has written in his memory. It is one of the poignancies of Tom Hurndall’s short life that he had gone to Gaza in search of a story, and ended up becoming it. A 21-year-old photography student at Manchester Metropolitan University, he went to Baghdad in February 2003 to photograph human shields, activists who were trying to protect ordinary Iraqis from the threat of Anglo-American attack. 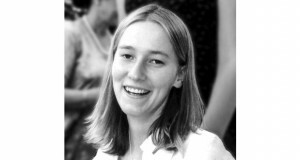 While he was there he heard about Rachel Corrie, a 23-year-old American peace activist with the International Solidarity Movement (ISM), who had been protecting a Palestinian’s family’s house in Rafah, in the southern Gaza strip, when an Israeli bulldozer crushed her to death. Tom went to Gaza to find out what had happened. All that is clear from the book his mother, Jocelyn, has written about Tom’s life, and about his family’s battle to bring the Israeli army to account for killing him. It’s not a political book, she stresses, though the anger, frustration and disappointment she feels towards the army, and the Israeli and British governments, is obvious. 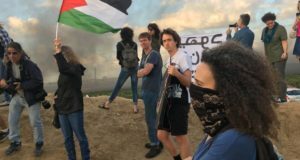 Tom was in Rafah, in the Israeli-occupied Gaza strip, on April 11, at an ISM demonstration. Suddenly low shots were fired from an Israeli army watchtower in the direction of children playing on a mound of rubble. Most of them ran – but three froze. Tom, wearing a bright orange ISM jacket, ran to help them. He scooped up a boy and carried him to safety. He ran back for the two girls, bent down to put his arm round one of them and was shot in the head. Jocelyn was at work, at a school in London where she was head of learning support, when she got a call from her daughter Sophie saying that Tom had been shot. It was the last day of the spring term. She calmly finished photocopying a report she had been working on and distributed it into pigeonholes, before setting off for home. It was as if she was trying to put off discovering the full horror of the story. “I think you do anything to delay the moment of impact,” she says in the bright sitting room of her north London home. She didn’t want him to go to Baghdad but she knew she couldn’t stop him. “I couldn’t condone it. I felt angry with Tom and a terrible worry that weighed me down and affected me every minute he was away. I was numb, anaesthetised, blank. I kept expecting him to come home. I think he would have left Rafah within 48 hours of his final entry in his journal.” His final entry was on the morning of the day he was shot. From the beginning, the Hurndalls worried that there could be a cover-up. The first news reports, heard by an Israeli friend on the radio station Kol-Israel, said a man wearing military fatigues had been shooting at a watchtower. “Even days later no one from the Israeli army or Israeli government had been in touch with us,” says Hurndall. “So that in itself spoke volumes. We really felt this draught of silence.” At the hospital, one doctor suggested that Tom’s head injury “was commensurate with a blow from a baseball bat”, even though on his notes it clearly said “gunshot wound”, with an entry point and exit point – as though someone was suggesting that the injury had been caused at close range and so not from the watchtower. Tom’s father, Anthony, a lawyer, set about collecting witness statements and writing his own report into his son’s death, an attempt to get the Israeli army to accept accountability. It was intensely frustrating. The report the Israeli army produced was amateurish, the incident itself reduced to simplistic scenarios including the idea that Tom was hit by a Palestinian gunman, or that he was even the gunman himself. Little of what they said tallied with the many witness statements that Anthony had collected. The map they produced to show where it had happened was out of date, and they had got the location of where Tom had been shot wrong. The Israeli army said they had fired a single shot; witnesses stated there had been at least five shots, maybe as many as eight. The Israeli government eventually sent a cheque to pay for the repatriation (though it covered only a fraction of the cost), but they did not admit liability. The cheque, for £8,370, bounced. Compensation and damages are still an issue. The British government wasn’t much help. Despite assertions that it had “repeatedly pressed the Israeli government for a full and transparent inquiry”, the Hurndalls felt this was hollow. When the Hurndalls met Jack Straw, the then foreign secretary, they found him remote and cold. Blair never publicly condemned the shooting. On top of all this, she received anonymous phone calls and letters calling her a “Nazi-lover” for questioning the Israeli authorities. The fight still isn’t over. Taysir Walid Heib, a soldier in the Israeli army, was put on trial for shooting Tom, and it was unbearable. 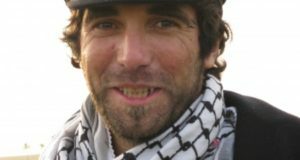 A medical witness called by the Israeli army suggested that Tom’s death had nothing to do with the shooting and had been a result of negligence by the British hospital. He even implied that the family had been complicit in Tom’s death. Another medical witness agreed – he claimed Tom’s death had not been caused by pneumonia, but by an overdose of morphine and that this was the fault of British doctors. It was so ludicrous that it strengthened the prosecution. In June 2005, Taysir, a Bedouin sergeant, was convicted of manslaughter and, in August, was sentenced to eight years, the longest sentence an Israeli soldier has been given for killing a civilian since the start of the second intifada. “It was limited justice,” says Hurndall. “He did break the so-called rules of engagement. On the other hand, he was in a culture where there are very loose rules of engagement and their senior commanders turn a blind eye.” An Arab, Taysir could neither read nor write Hebrew, and had a learning disability. Although the Bedouins are marginalised in Israel, some do volunteer for the army, although they tend to be sent to the most dangerous zones and career progression is rare. “I was convinced that Tom was the victim of a victim,” Hurndall writes. “That it was the policy-makers who had put Taysir in this position, who should be on trial.” The family are hoping there will be further arrests up the chain of command and they have yet to receive a public apology. But is it getting easier? “It is less mad, less chaotic, less muddled. There are fewer distractions. It feels like coming to the edge of a cliff. I went to Fred’s school to watch him playing football and I was in heaven. I don’t mean because Tom had been at the same school and also played football in the same way, had the same long legs. I mean that I’ve come to value those moments so much more. What happened really put a focus on every minute of life, so in some ways it has made our lives more vibrant. It seems terrible that it has taken that. But life matters even more than it did”.